I recently attended an event organized by the Walpola Rahula Institute. In just a few years Ven. Galkande Dhammananda Thero has created a safe space where Buddhists, women and minorities can have a discussion about the important ideas of our time and the best way forward for reconciliation. Venerable Dhammanada Thero has no strong view that he imposes on others but he is a facilitator for frank exchange and dialogue, an enabler who makes you feel secure and cared for no matter who you are. When you are with him you have a strong sense of compassion and belonging. The occasion for the get together by the Institute was the release of the English translation of Ven. 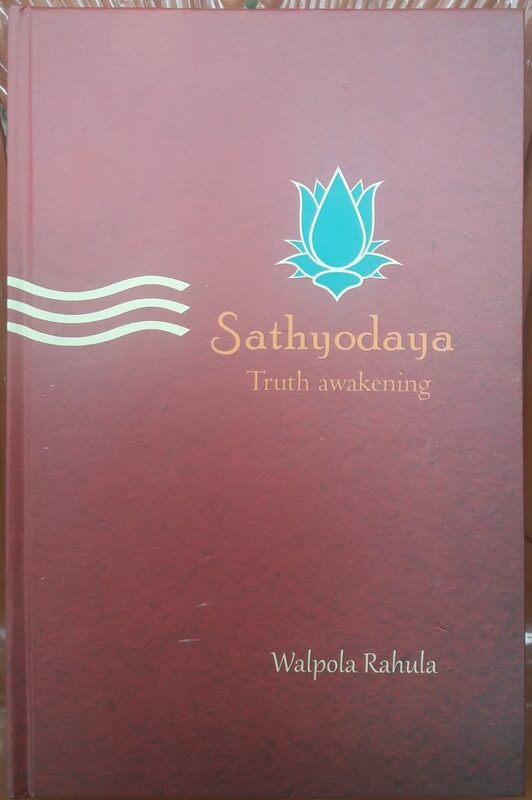 Walpola Rahula’s book Sathyodaya, translated initially by Padma Gunasekara. Niranjan Selvadurai translated the final version. Ven. Walpola Rahula, a Buddhist legend, was, as we all know, a graduate of the University of Colombo, University of London and the Sorbonne and was a Professor of History and Religion at North Western University. He was the first Buddhist monk to enter university and first one to be a professor in a prestigious university outside Sri Lanka. He was also once the Vice-Chancellor of Vidyodaya and the Chancellor of Kelaniya University. Sathyodaya was his first book but he went on to write many definitive works including What the Buddha Taught, which is his most famous work. The speakers at the event put forward many ideas from the text of Sathyodaya that are relevant for our times and are valid across all the religions. Much of Sathyodaya is a critique of mindless rituals, especially offerings of food and medicine to statues when there are so many poor, underprivileged people in our country. Dr. Prabha Manurathna from the Department of English at Kelaniya quoted from Sathyodaya and made the audience realize the moral unacceptability of all these actions, especially when they are done in excess. According to Dr. Manurathna, within the Buddhist world of explanation such offerings do not reflect an understanding of his teachings and when the material offerings are so excessive as to be grotesque, they actually impact the society. Born into the Hindu religion I can also totally identify with Ven. Rahula’s words and Dr. Manurathna’s approach. Ven. Rahula stated in Sathyodaya that all this excessive offering of material things to Buddha images was a sign of “low moral maturity” and he urged that all such material things should be given to the poor and that would be a proper and worthy way of honoring the Buddha. The written style of Sathyodaya compelled Professor Asanga Tilakaratne ,the keynote speaker, to address the question of rationalism and logical positivism in Buddhist thought. One could argue that most of the world’s religions do not give the rational thought process as much emphasis as does Buddhism. Hinduism, especially in its Bhakti form, and Sufism in its manifest form rely on a mystical union with the divine. Rationality is not part of the immediate religious process though some Hindus point to the Vedantic texts as their rational structure. Even Christianity and Islam in their initial texts were “revelations “ though later theologians like Saint Thomas Aquinas argued that God was reason and rational thought was his gift. It is the dominant view that Buddhism from the very onset valued a rational thought process, drawing on logic and reason. Professor Gananath Obeyesekere in his extraordinary work, The Awakened ones, argues, on the other hand, that the Buddha like many other poets and religious leaders was a visionary, and that the visionary experience was different to the rational process. Comparing the visionary experiences of the Buddha, William Blake and people like Blavatsky he argues for a more holistic understanding of Buddhism and the Buddha’s thought processes. The Buddha’s thoughts come, not only from the rational thought process, but also from the part of our imagination from where poetry and the creative forces flow. Drawing on thinker such as Nietzsche and Freud he points to the neglected analysis of our psyche due to the tropes of the western Enlightenment, an analysis that will make us better understand the genius of people that came before us. Another topic discussed at length in Sathyodaya came to the fore in the discussions because it particularly irked Ven. Rahula and is very relevant to our times. This is the issue of caste and religion. The Hindu religion to which I was born, aims at equality in its mystical practices, but in social life caste continues to play a dominant role. Caste defines the spaces we can walk in, the temples where we can be comfortable and the eating-places where we can feel free. The speakers spoke of caste and the practices of Buddhism. Examples were given of practices of caste-based discrimination in certain Buddhist structures and events. Ven. Rahula’s book Sathyodaya has a very clear, a message that in the early part of the 21st century should apply to all religions. Putting forward the stories of Suneetha, the street sweeper and Upali the barber who were ordained by the Buddha regardless of their origins, he argues, “there is no place for caste based segregation within the teachings of the Buddha” or we should add anywhere in real life. The reason Ven. Rahula is important for human rights and social justice work is in his tireless call to action, urging monks and lay people to struggle for the rights of the poor and the downtrodden. He fought against colonialism but he also fought for internal social transformation. He was for example in the forefront of the struggle for free education. Some people may read his radical Vidyalankara student days when Sathyodaya was written as a call to extreme nationalism and many monks have taken that trajectory. But, what makes him a global figure with transnational appeal is his call for simplicity in religious practice and his support for the struggle of the poor and the underprivileged. It is that legacy that all Sri Lankans can share and take to heart. In a beautiful passage in his introduction to the book, Ven. Galkande Dhammananda Thero writes, “the Buddhist focus should be on winning without creating a loser. Any victory gained by producing a loser or an accused will be incomplete and temporary”. Many researchers also find that in certain Buddhist areas, Buddhist feelings of social harmony and healing go against the grain of punishing people. The Buddha, according to all accounts, was totally against demonizing people and making them “the other” whether they are soldier or civilian. Yet memories of my experience on the Youth Commission in the 1990s pointed in a different direction. The young men I met repeated the word “Asardhanaya” over and over again and there was sheer rage in their eyes. Similarly when I meet women who have suffered terrible violations or watched their children “disappear”, whether in Sri Lanka or any other country, compassion and understanding makes it difficult to insist that they forgive. How do we balance social healing with the demand for justice; social harmony with the insistence on the search for the truth? These are questions that constantly challenge me as I do my work in my different capacities. Will punishment bring relief and deter crimes. Can we expect people to live next door to those who may have violated them or as Ven. Dhammananda argues should we face anger with understanding and work toward personal reconciliation and finding the truth. In the forty years of my professional life, I have been to many multi religious and multicultural forums and event. In Sri Lanka there is what I would call dual discourses. The hate filled discourses of the extremists of the different ethnic communities that command the social media as well as traditional media and the feel good discourse of the multi cultural and multi religious communities. Sometimes when I sit in on these latter events I feel a disconnect with the real world. They do not always discuss the hard issues, the trauma, the differences, and the fault lines. They think love is enough. Keeping positive feelings and positive momentum is so important that we all keep away from discordant conversation. And yet, it is the discord we must address; how we do it is till a journey we have to make. I therefore want to thank the Walpola Rahula Institute for creating the safe space so we can discuss all these issues with honesty and compassion under the guidance of Venerable Galkande Dhammanandha Thero. Instead of screaming and silencing each other, these are the conversations we must have in dignity and safety. Conversations on what divides us; ethnicity, class, caste, gender and disability. Conversations on social justice and social harmony, conversations about the war and the peace that has followed, conversation about the contours of justice and healing, conversations about the terrible malaise that ails our young people and makes so many of them despair. These conversations can then be the building blocks for the compassion, understanding and sustainable peace that Ven. Dhammananda Thero has spoken so much about. To reach out, utter the difficult words and listen to the answer is the only way for us to move forward. Walpola Rahula Institute should have invited ex and current Presidents Prime Ministers and Ministers from all political parties in Srilanka along with top Army men including the men sent abroad to hold posts in diplomatic missions to avoid legal proceedings, for this sort of conversations. They are the one in urgent need of discussion, conversation and advice specially on the ways to come out of the sins committed by them. Well, here is the thing. The Buddha Sasana is the institution that assists human beings permanently end suffering. There are 3 types of Buddha Sasana. The present Buddha Sasana is a “Pragnadhika” type. What does this entail? The purest form of Dhamma as taught by the Buddha himself deteriorate over time. The path is gradually forgotten. Although intermittently the pure form makes an appearance. As far as I know this has happened twice with Arihaths Mahinda and Maliyadeva. The purest Dhamma emerged in 2009 yet again. It’s available for all but only a lucky few are able to comprehend the Dhamma. The ones who do not understand run around complaining this is corrupted. Fortunately, for those whom this isn’t familiar territory there is a simple test for them to conduct. The purest form is only spoken only by those who know the correct Buddha history. In particular where the Buddha was born and lived. The Buddha after Parinibbana leaves 4 places for everyone to visit and engage in a Buddha energy. This is essential after one listens to a sermon by an Ariya and has officially entered the path of renunciation. There is no wearing of robes etc. 99% of the present monks neither knows the correct Dhamma nor have any clue about the path. This is why those who live in Sri Lanka are incredibly fortunate. It’s a privilege that emerge very rarely. Many Tamils, Muslims and even Christians have already joined the path and taking great benefit. I have left the link above. Just click on “Jambu” to take to begin the journey to permanent peace NOW. There is another side of Walpola Rahula that needs comparison with his Satyodaya. Ven Rahula was instrumental in bringing bhikkus into politics in spite of heavy opposition by DS Senanayake and a section of bhikkus in 1940s. Some went to the extent of issuing ecclesiastical injunction against him. Rahula won in his campaign and Vidyalankara declaration of 13.2 946 entitled the bhikkus to enter into politics, ” the last refuge of scoundrels” we call it . No doubt the present day mess we find in Srilanka is partly due to political fanatical actions and speeches of bhikkus. Ven Rahula writes about compassion and wisdom and say ” we consider the purpose of life is to develop compassion for all living beings without discrimination and to work for their good happiness and peace; and to develop wisdom leading to the realisation of ultimate truth” . But in his interview with Roshan Peiris ( Sunday times 21.9.1997) he contradicts himself. ” I asked the Ven Rahula whether one should not think of maithri and peace and could not a dialogue be held with the LTTE. His voice was strong and loud. The Ven Rahula was agitated as he said ” you are talking of peace and maithri. What maithri and peace is there when the terrorists in the north and east are trying to divide our country and asking for Eelam………..”. ” get this straight and quote me, Srilanka is a Buddhist country. Let no one make a mistake. Seventy percent of the country consists of Buddhists and Sinhala people. And make it clear Srilanka is the only Sinhala Buddhist country in the world” ……………..
For Ven Rahula fighting against LTTE falls within dhamma. He opposed devolution package and Premadasa’s call of Srilanka as a multi religious and multi ethnic state. For him it is a Buddhist Sinhala state. He must have read the verse from Bhagavad Gita. For Hindians Sri Lanka is the Sinhala state of Hindia. The way it is discussed, It looks other religious devotees are not only ignorant but tries to promote religious intolerance. I know even Bhikkus criticize what are called ARMISA POOJAS. When it is offered with out what is called SHRADDA, a word unique to Buddhism because in other relegions it is FAITH or BELIEF or simply what the Messenger told one to do. So, when people with Shradda to Lord BUDDHA offers food, flowers, Incense etc., to the Statue, those who are offering do not see a Statue there. What they see is Buddha self. Any offerings without any Shradda is just mindless rituals. Buddhism gives priority to the MIND. So, it is mind and not the ritual. But when other religeons do not understand it, buddhist can grasp it. but, when buddhists themselves Criticize ARMISA POOJAS as RITUALS that is lack of understanding. I hope Sri lankan Bhkkus clarify the truth and make people understand. Anyway, what is happening in Srilanka and in other Theravada countries of Asia – Myanmar and Thailand is Just killing buddhist culture because that helps the spread of NEO_LIBERAL Economic culture. I heard Mongolians who were Mahayana buddhists did not meat Instead they used the YAK “Cattle” every way useful to ther daily life. Now, the New culture has taught them to kill eat the YAK. so, some people, probably the old, are mourning saying we kill that YAK and eat too. Just think if Hindus were asked to kill the Cow and eat. What ever the religion what is behind is theGREEd. but, see how many generations the CAPITALISM and CAPITALIST countries could live prosperous lives. Now, they are doomed if the OIL producing middle east countries are not there to be robbed. The stirring words of Ven. Rahula applied only to his fellow Sinhalese Buddhists, much like the eloquent writings of Thomas Jefferson on freedom and equality did not apply to the slaves of African ancestry. I doubt that the ‘safe space’ that Ms. Coomaraswamy speaks of is really safe to bring out the truth. Very true, Agnos. This ‘safe spaces’ are nothing if we do not apply a self critique of ourselves. For example, why did the Colombians so unhesitatingly support Ranil and his yahapalanaya without keeping a critical distance and pointing out where things went wrong, very early on? Stirring writings like this are just hollow if that depth is not there. We are now seeing the effect. 2001-2003 the Colombo bubble of Ranil and his cronies produced Mahinda. 2015-2019, the Colombo bubble will produce who? Gotabhaya? May the devas help us. were these discussions conducted in English? Sinhala, Tamil? It might have much more impact if these conversations were formulated to some kind of study circles in Sinhala and Tamil and popularized among ordinary folks – not just rich privildged people like you Radhika. In just a few years Ven. Galkande Dhammananda Thero has created a safe space where Buddhists, women and minorities can have a discussion about the important ideas of our time and the best way forward for reconciliation. *** I take it that this discussion takes place behind closed doors away from the masses( Who are by birth RCISTS) . In the few years that this so called Thero started articulating his views and thoughts what has he achived. Look at Mahintha he has started pouring Racist “Venom” to win the forthcoming election. If the Thero has such a following why cant he create a “safe Haven” for the minorirites to to live their own lives under their own Jurisdiction all be it limited. You know I talk to a lot a “Sinkalams” in my sleep and dream every night and all I hear is my ECHO. 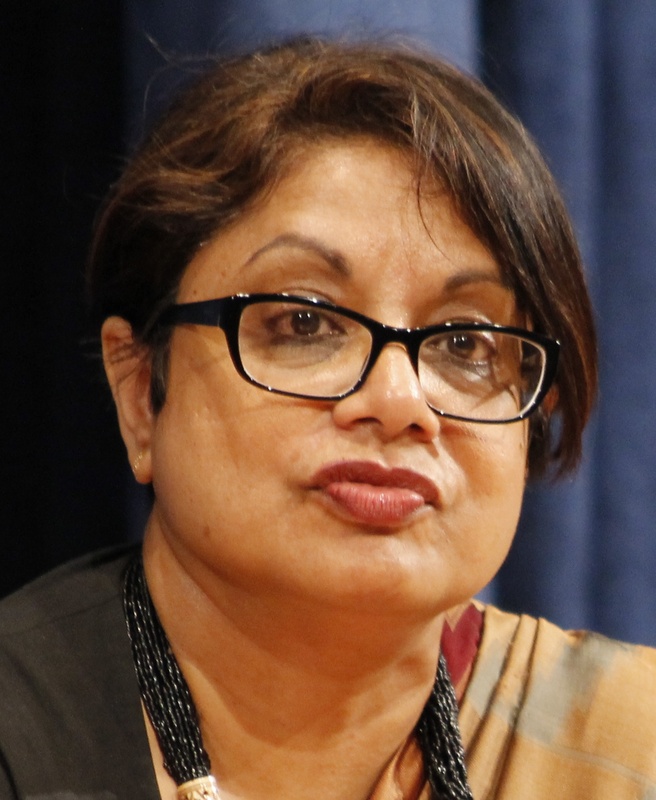 Radhika’s questioning – “How do we balance social healing with the demand for justice; social harmony with the insistence on the search for the truth?” – is completely valid and pertinent, related with some of her experiences and observations. I first came to realize a part of this puzzle after the Port Arthur Massacre in Australia in April 1996 when the victims’ parents and relations shouted in rage ‘calling for justice’ that the perpetrator should be hanged. In many people’s mind, justice means revenge or at least punishment. The perpetrator was even mentally deranged. The reason for this undoubtedly is the pain, anger and grieve that they feel. On the other hand, perpetration of violence or violations in social/political conflicts or internal wars unfortunately is also largely guided by similar feelings, right or wrong, on all sides. I am not referring to violations in day to day life like physical harm, abuse or killing. Those are mostly one sided. We may have to understand justice in a different manner in respect of violations in a social/political conflicts. I don’t have a ready answer. On the part of the victims, the justice alternatively could mean redress of their pain, grieve and grievances in other means. Reparation could be one. Counselling could be another. Socio-economic assistance in general may also help. As Ven. Dhammananda has reportedly argued we may have to balance between anger with understanding for some time until heeling comes. If all or some violations could be forgiven that might be better. Did anyone think the same way prior to members of JVP and LTTE were being massacred by the armed forces for what both did as part of their violent campaign? Armed forces are legally bound to follow certain norms/laws i.e. ‘humanitarian law.’ There are some people like you who may offer impunity for the outfits like JVP and LTTE. I differ, and the current thinking internationally is also the same. Even the UNHRC resolutions and reports apply the same principles at least ostensibly for both parties. If ‘punishments’ apply equally to all parties, ‘forgiveness’ also should apply the same way. The best policy for reconciliation, in my present opinion, is to convict whoever culpable for crimes and violations. I have said this before in concrete cases and I have been puzzled that why no one has gone before the Sri Lankan courts against any army violations while it is also the duty of the AG’s department. Of course one can argue that we don’t have faith in the national courts. To me that is a never ending conflictual thinking. But as we know, for some violations, army personal have already been convicted. In the case of the Christchurch massacre, it was an individual forgiveness to an individual, while a legal case is proceeding. I referred to it as an example. What is required in Sri Lanka is collective or community forgiveness to each other between the Sinhalese and the Tamils for reconciliation. You ask did anyone think the same way before? In 1971 before the insurrection, a JVP student monk Bhaddiya attacked me at Vidyodaya University. There was a disciplinary inquiry. I said that I forgive the student and left. He was convicted later for the insurrection. When he was released he came and apologised. 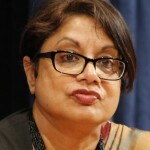 Laksiri refers to Radhika’s questioning – “How do we balance social healing with the demand for justice; social harmony with the insistence on the search for the truth?” My observation is that the question has mainly and most congenially been answered in the abstract and not in a manner that answers the need in this country for it to stay together as a credible nation. That seems to be the problem with Ven. Rahula as well. This is reflected in the fact that over recent decades the laws of this country have undergone significant change to remove the stigma of Sinhalese preference. But in practice the way the State operates is even worse. Take the Commission of Inquiry that went into the ACF and Five Students cases which had international observers who went away in disgust. The victims’ families who came for justice were bullied, intimidated and in some instances killed, all in stark violation of existing laws. The isolation of Tamils is profound. What could have heralded reconciliation was handled by governments, who elevated criminals in uniform to heroes and patriots, in such a way that its propaganda fallout strengthened the impression in the Sinhalese mind that the Tamils are crooks and lairs. Our courts did no better. Those who sought justice and recompence were swept under the carpet to sorrow and despair in loneliness. In this context the pathological disconnection between Northern and Southern politics, both revelling in irrational hysteria and undeserving heroes, augurs ill for this country. When general principles are expressed, they may appear abstract. It is true that concrete examples are overwhelming and “the isolation of Tamils is profound.” I don’t pretend to know the truth or the correct path. However, the solution may point to the need to separate the two and deal with both. One may have to understand that the South is not one entity. I believe the North is the same. There are also fears and grievances, real and imagined, in the South as well. I think it is necessary for the people in the North also to understand that. I am surprised to see you have modified your name. There is a tried and tested mechanism that you may have missed in the past, Truth and Reconciliation Commission. By and large it served the victims better than any other commissions that we ever knew of. Without truth there is no reconciliation. I want use the motto of Colombo Telegraph stating truth is a process as well as Journey. First, I admire Laksiri’s humility to note that he does know how reconciliation will happen , albeit his comments came with more clarity after Rajan and Native’s incisive comments. I will read on my leisure time. Please pop in when you got a few minutes. Armed forces are legally bound to follow certain norms/laws i.e. ‘humanitarian law.’ There are some people like you who may offer impunity for the outfits like JVP and LTTE. Why you guys always support a govt that dont hold international norms? election pledges ? As General fonskea agrees and reiterates why not go for an investigation and clear the doubts ? Then the state can focuses on the future of the nation/country. SF is in the view that only few may have committed crimes, I mean in post war scenario.- if proper investigation clear the doubts only, we as nation prove the world that no war crimes occured in the country. Why do Rajaakshe +Sirisena mislead the nation by blocking the long overdue investigations and make every effort to let IC to point the finger at us on and on ? I think if we are in the view that LTTE should also be investigated, then we should also go for atrocities reported in 89 Insurgency. THere, both JVP and UNP will have to be ready to face the music. Privileged, from age milli-second, Radhika has found a ‘safe space’ for her ilk. There are instances in which we meet people who are known to us by their rebirth during their lifetime, for example born again Christians, born again Sinhala/Buddhists, born again Hindutva, born again Jihadist, …..